I'm a bit sad that I won't be enjoying the Christmas lights with my friends tonight. They will be down at Naples Island in Long Beach to see the Christmas lights and decorations. My family has done this Christmas activity in the past. We would stop by the local coffee shop and get hot drinks. Then walk along the water admiring all the Christmas Cheer. It's fun. It gives us a chance to catch up with one another as well as burn off some calories. I think we always did this after Thanksgiving too. For those that are not familiar with Naples Island, here's a link to the area, click here. Imagine these beautiful homes by the water all covered in Christmas lights and decorations. It's beautiful and a hidden gem. That's one of many Christmas activities to do with your family that doesn't cost much. These days I'm big on finding free or as close to free as I can get activities. As a kid my granny would take me around the block to admire the Christmas lights and decorations. This was always the start of the Christmas season for me. We'd get some snacks and hop in the car and look at all the pretty houses. I always admired the creativity. It was amazing to me what people could do with lights. I've never been but there is a neighborhood referred to as Candy Cane Lane. Candy Cane Lane is famous for their Christmas lights and decorations. This year I plan to attend. Click here for more information. As I got older I started my own Christmas traditions. For a few years I would take my friends and family to event called, Back to Bethlehem. There was a church who turned their entire property into Bethlehem. They had the costumes, sets, animals and food. It was a great experience. As you entered Bethlehem you received Shekels, the currency of that time. With your shekels you could buy snacks or pay your taxes. The Roman soldiers were on their guard making sure that Caesar received what was his. I wish they still had it but a few years ago they stopped. Last but not least every year my church has a Holiday Extravaganza for the community. They give away toys, food and there are plenty of activities for the kids. As well as a vendor fair. This year they put together this cute video to invite everyone to the event, click here to watch. If your in the San Fernando Valley, then be sure to stop by. 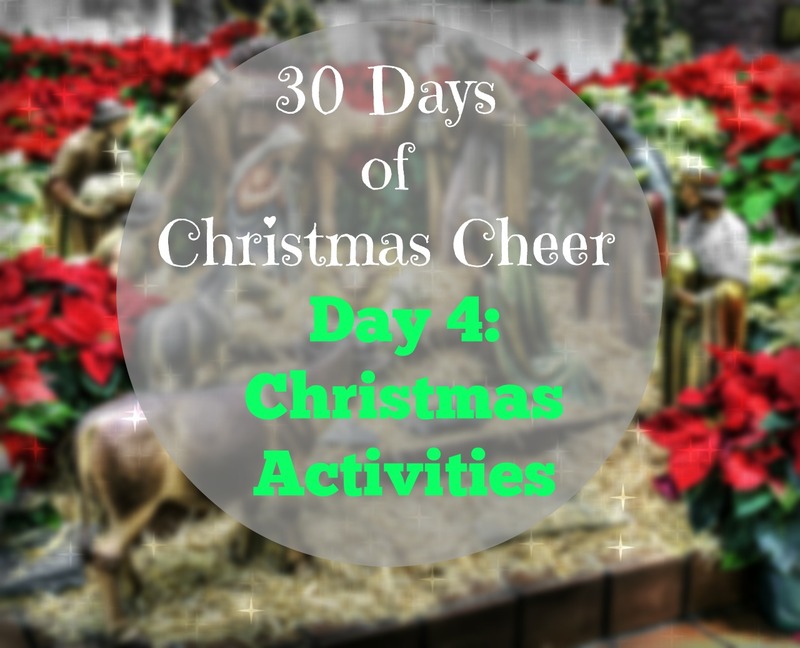 I'll be posting more of my favorite Christmas activities throughout the month. Down below please let me know what Christmas Activities you do with your family and friends. And as always thanks for reading.